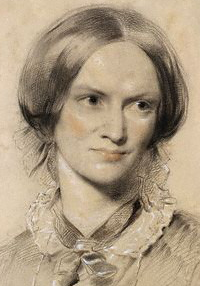 My name is Charlotte Bronte and I was born on 21st April, 1816, in Thornton, Yorkshire. My father was Rev. 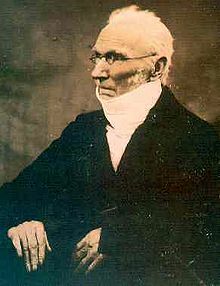 Patrick Bronte, originally from County Down, Ireland, where his father was a labourer. His name was spelled Brunty at the time. I don’t know exactly when it was changed to Bronte, but it was probably when he came to England in 1802, after working as a blacksmith, weaver and teacher, in Ireland. He saved enough money to study theology at St. John’s College, Cambridge and was ordained in 1806. I hardly remember my mother, Maria Branwell, who died when I was five. She was born in Penzance, Cornwall, where her father was a successful merchant. She met my father while visiting her aunt in Yorkshire. My two elder sisters Maria and Elizabeth died when I was 9, and they were 10 and 11 yeas old. They had been attending a Clergy Daughters’ School at Cowan Bridge in Lancashire, which had notoriously poor conditions. Much like Lowood, the school I described in my most successful novel, Jane Eyre. I was the oldest of my surviving siblings, and the last to die. My poor, talented brother Patrick Branwell was a year younger than me, and would have been a great painter and poet if he had not succumbed to the ecstasy and torture of laudanum, alcohol, and the unrequited love of a married woman. 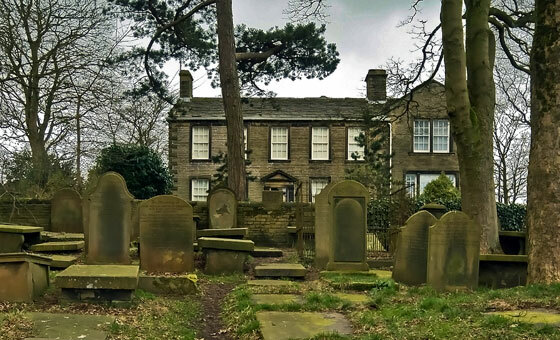 In 1820, the year my youngest sister Anne was born, we to Haworth, where my father had been appointed perpetual curate of St Michael and All Angels Church, and sadly, my mother died of cancer the following year. 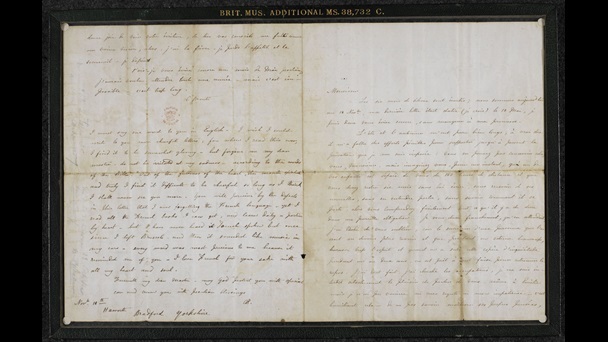 We were fortunate enough to have been looked after by out maternal aunt, Elizabeth Branwell. While our father taught us to read the wisdom and moralizing stories of the Bible, our aunt showed us the pleasure of reading fiction in literary magazines. My aunt, who was so devoted to us that she never married, was able to use her generous annual income to fund many of the ventures in which our father had little interest, such as a girls boarding school, which unfortunately was unsuccessful, and our trips to Brussels to study French. While we were in Brussels, in return for board and tuition, I taught English and Emily taught music. We were in Brussels when we were informed of our aunt’s death in 1842, due to a bowel obstruction. We were all devastated, but especially my brother, Branwell, who was her favourite. He died six years later. Although his death certificate says he died of chronic bronchitis, he had been suffering greatly due to his addictions, brought on by his sensitive character and acute sense of failure. I fell in love with my professor of Rhetoric, while I was in Brussels. He was short, dark, and moody. I was terrified of him at first and anxious to gain his approval as his pupil. Later, my fear and admiration turned to love. When I returned to Haworth, we remained in touch. I wrote him many letters, but unfortunately, M. Heger was married and had six children, so he remained in my literary imagination and became my inspiration for Mr. Rochester. I will always remember our childhood literary ventures. The four of us would use Branwell’s wooden toy soldiers to play with and invent an imaginary world, which we called Angria. We should have developed those stories into a series of fantasy novels. Branwell once said he would do so, but sadly, it never happened. We were educated at home and my sisters and I also worked as teachers and governesses in several local schools and households, but none of us considered it a fulfilling job, so we turned to writing, which had always been our passion. The three of us had written many poems, and in 1846, encouraged and impressed by Anne’s poems I decided to publish a selection of all our poems, which were written under the pseudonyms of Currer, Ellis and Acton Bell. We thought best not to disclose our real names and gender because we wanted to preserve our privacy and because we thought our condition as women writers would be looked upon with prejudice. I had already written The Professor, which had been rejected for publication, but our luck changed the following year, my Jane Eyre, Emily’s Wuthering Heights, and Ann’s Agnes Grey were all published, still under the Bell pseudonyms. It was not until 1848, that we told our London publishers who we really were. 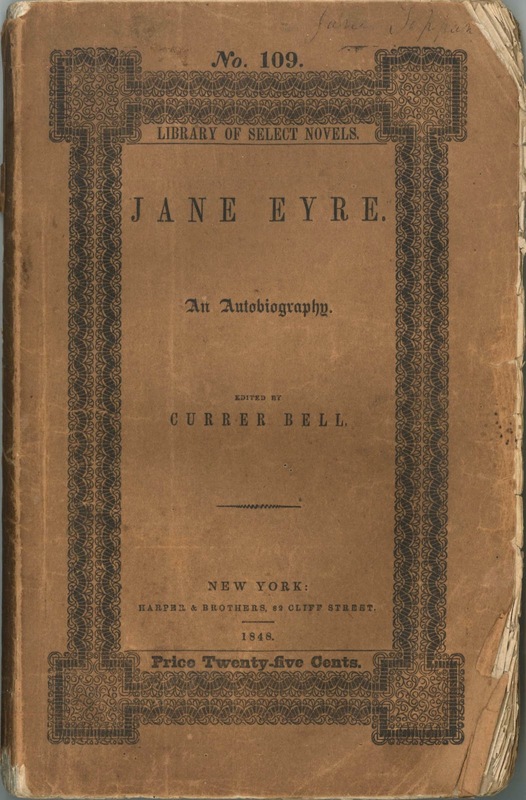 Although Jane Eyre soon became a best seller, some literary critics thought it was provocative, antichristian and coarse, but you’ll read more about my novel, Jane Eyre in tomorrow’s post. Some critics even thought it had been written by a man! But how could a man have written three volumes uncovering the complexity of a woman’s heart and soul? Two of the saddest moments of my life were the deaths of my sisters Emily and Anne in 1848 and 1849. They were both taken in their prime. I heard their failing breaths and watched the colour fade from their faces, as the eternal stillness took over. Every time I tremble from the hard frost and keen wind, I am reminded that they can no longer feel them. It was God’s will. My only consolation is that and the place where they have gone is better than the one they have left. This is part of a poem I wrote when Anne died: ‘There ‘s little joy in life for me, And little terror in the grave; I ‘ve lived the parting hour to see, Of one I would have died to save. I did not think much of London life, but I visited on a few occasions and made the acquaintance of other notable writers, such as Mr. Thackeray and Mrs. Gaskell. I was especially impressed by the Great Exhibition at Crystal Palace in London, which I visited in 1851. I had known Rev. Nicholls, curate of Haworth, since 1845. The first time he proposed marriage was in 1852, but my father objected and I was indifferent. Mr. Nicholls was insistent, and he was indeed a kind man, so the second time he proposed, two years later, my father did not oppose the marriage and I accepted. I did not marry for love. I had loved once and I was resigned to live without the hope of such passion again, but I would have liked to have children. I was my father’s only child still living, so I was his last chance of seeing any type of continuation in his line, but sadly, it was not to be. I died during a difficult pregnancy in 1855. He that lives must mourn. When we reach our bourne! It pleases me greatly that our novels are still read and loved, and have inspired other authors and artists over the centuries. “When authors write best, or at least, when they write most fluently, an influence seems to waken in them which becomes their master, which will have its own way, putting out of view all behests but its own, dictating certain words, and insisting on their being used, whether vehement or measured in their nature; new moulding characters, giving unthought-of turns to incidents, rejecting carefully elaborated old ideas, and suddenly creating and adopting new ones. Is it not so? And should we try to counteract this influence? Can we indeed counteract it? from a letter to G.H. Lewes, 12 January 1848. Have they inspired you to write? 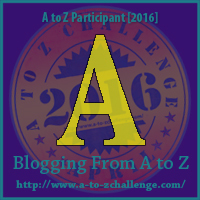 ← Theme Reveal #AtoZChallenge All About #JaneEyre, Who Else? Thanks, Olga.💖 Are you not taking part in the challenge this year? They all died so young. I somehow didn’t realize two of her sisters were also authors. Thanks for sharing, wonderfult read. I once heard a story that Patrick Brunty changed his name to Bronte when at Cambridge to imply a link to Nelson ( one of his titles was Duke of Bronte). Also I saw a newspaper article today about an exhibition at Sir John Soane’s Museum in London about Charlotte Bronte’s visits to London, which sounds very interesting. I wish I were in London! I may be going for a short break in June. I’ll check out if it’s still on. There’s something about her father that is very unsettling. I can well believe the story you mention. Very nicely done… I’ve never read Jane Eyre, but I have read Emily’s Wuthering Heights. I am fascinated by Charlotte’s relationship with her professor. She obviously used that experience in forming the character of Rochester when writing Jane Eyre. The sisters’ lives were so bleak. It is amazing they were all able to be such accomplished writers. So sad the sisters died young. But people rarely survived to an old age in those days -creativity cut off too soon. Great post. I actually didn’t know her sisters died so young. Don’t know how I missed that bit of information but I did. Was also surprised to see that only a few people thought Jane Eyre was written by man. I thought most people assumed it was written by a man before she revealed her identity. They were a very artistic and short lived family. Very intense. Thank you. I’ll try to pick up the thread. I’m a little overdue. A friend needs my help and I just can’t find the time to do it all. lovely post! I am so glad to find your blog, Jane Eyre is one of my very favorite books! I will be back to read more on her. 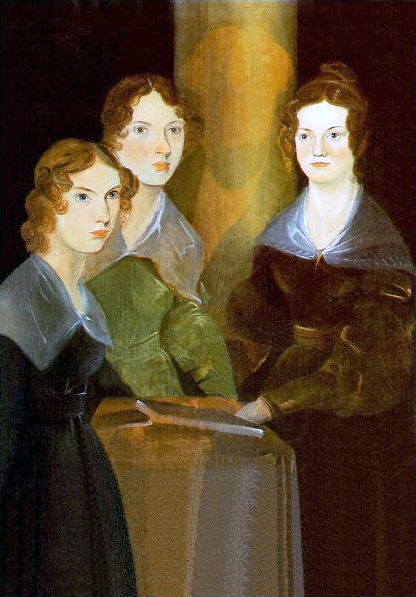 My B post for this challenge is B for Bronte -and I wrote a short bit about the fiction book “The Secret Diaries of Charlotte Bronte” , it was really well done, and the first I had read about the Brontes’ history. Thank you for dropping by and your lovely comment. I’ll check yours out asap. I’m afraid I’m behind on my posts. Hope to catch up this week.